The electronic components like PLC and transducer are from Mitsubishi, Siemens, Omron, etc., The pneumatic devices are also from international famous brand. 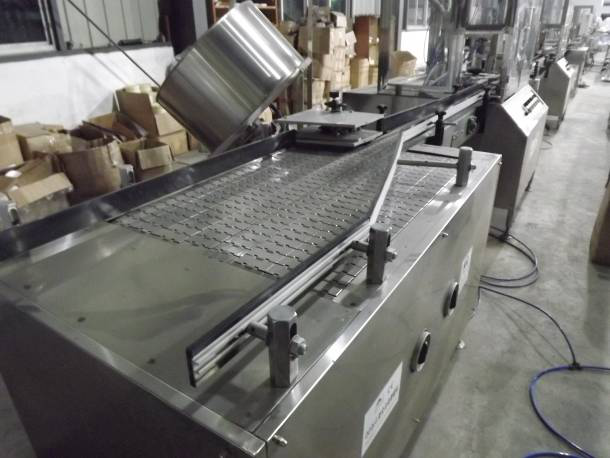 then the table will feed the bottles to the conveyor belt. 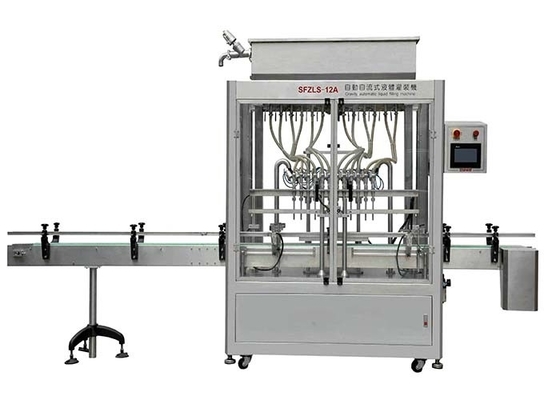 Automatic cap sorting, feeding and capping system for different sizes caps. This parts can be make according to client's caps' shapes. and it can be 1/2/3... heads capping. It is for stick label. 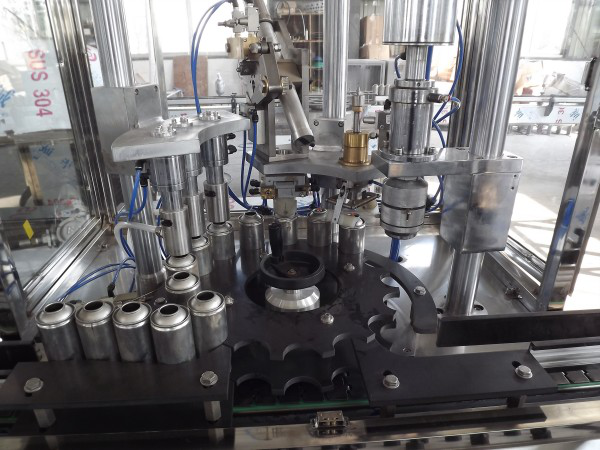 Automatic labeling round bottles, square bottles or other types of bottles. It can be one side labeling, two side labeling and so one. 1. System control: The main machines including the liquid filler and the sealing and gas filling are completely pneumatic controlled. 2. 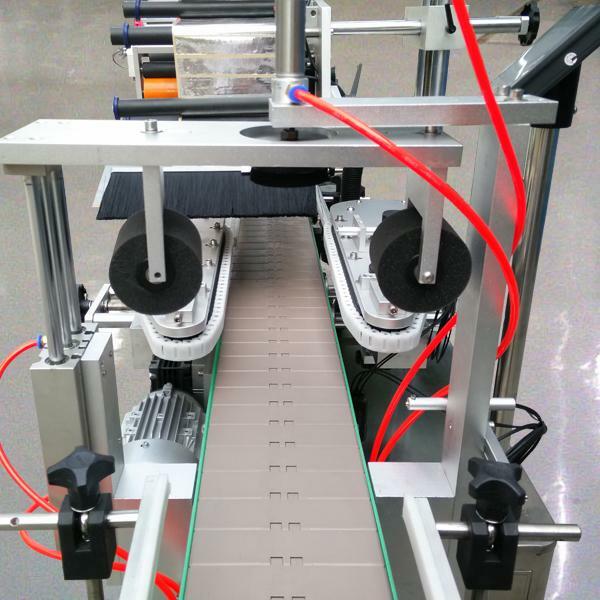 Safety guarantee: Ex motors are applied for cans arranging machine and the feeding conveyor; the power supply cable is going through PVC pipes and anti-explosion junction boxes, connected by anti-explosion switch; the casing is earthed to prevent electrostatic; both liquid filler and inflating machine are protected by cabinet (stainless steel frame with 4mm annealed glass) to prevent injury due to cans blasting. Advise: built the filling room specifically for the gas charging machine, to enhance security and reduce the risk of explosion. 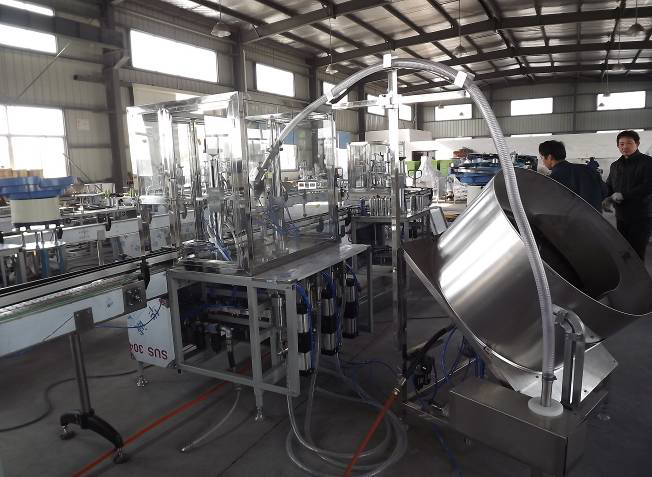 Providing easy-broken parts and accessory free of charge within one year, if need engineer for installation, test and training, the buyer should pay all the cost, and should buy local life insurance for our engineers and pay them USD100/day.